So happy and relieved to hear of this….though it would be nice to hear/read the information in a more concise and continuous format. I found Ernie’s communication style somewhat distracting and a little confounding, though I appreciate his enthusiasm and applaud what he’s doing. I understand about Ernie’s communication style. It takes a few minutes to warm up to it. He comes out the gate like a bull rider. Better hold on. I’m game. Once the ears adjusted, I was enthralled! I’m glad he is who he is. Dear James, you are now a doer and a thinker. I got a twin mirrored dinosaur I can hook up in the closet. I have to pay for electric that I don’t ever use in the building anyway. This is exciting. Wonderful news! 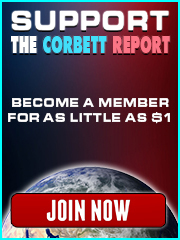 I had refrained from any FB activity recently but posted James comments about ‘truth resonating with people more than lies’ on FB as well as the link of this podcast and it is getting a hefty and ongoing response from many new people…who now know about the Corbett Report and this particular link..thanks big time! I don’t fully understand it all yet, but this is fantastic news, and I believe it is significant enough that I want in. I’ll help any way I can. I have the parts to build 2 or 3 PCs that could be dedicated to this. The only thing I don’t have enough of are multi terabyte storage drives, but I can get them if necessary. You know how to contact me James. It’s great to hear that listeners are getting fired up. So am I, although I think you are a little bit further that me in that you already have the parts to build 2 or 3 PC’s that could be dedicated to this. But I’m also thinking what steps I myself can take. The only thing I would add is that – although I’m not speaking for James but just giving my thoughts here – I think it is unlikely that James will contact you and actually ask you if you would build the PC’s and/or buy the memory. I think that it’s a self-action kind of thing in that – if you know what’s at stake – it is up to you to take the actual steps. Ernest Hancock said that the material of James Corbett is at least 300 gigabyte and he also said that 4 terrabyte (= equals something like 4000 gigabyte) costs something like 150 dollars. So if you want you could even buy a smaller amount of memory for less and still have more than enough memory to store and disseminate James’ material. Furthermore, James said he would get the technical guy from FreedomsPhoenix on his podcast so he would explain how it works (explain how you could set this up). So my guess is that if we want to contribute to the storage and distribution of James’ material, we ourselves have to initiate that action and James will provide the technical information through his podcasts. Thanks for these insights. I hope you have time to do a more conscientious and sober inquiry into this topic. I’m sorry, but I just can’t listen to Earnie. That Adderal fueled delivery of his seems so out of place among your work and your usual company. Would love to see an interview about Holochain too. (TERRIBLE name choice for several reasons.) And Dissenter, Comment Freely, Akasha, Everipedia, Mastodon, Fediverse, PeerTube, Mycroft, EtherTorrent, WebTorrent, etc. On another note, I’d like to propose an open project to help users of IPFS and low-bandwidth folks in general. YouTube still uses inefficient large x264 files, but the superior High Efficiency Video Coding HEVC x265 codec can DRAMATICALLY compress those files down to save a lot of space, and if done properly will maintain quality too. The compression requires a lot of processing and time to do it. The playback requires processing too but is on the fly while viewing. Ultimately it’s worth it to save bandwidth, space, time, and resources. I personally don’t have access to powerful computers or a processing farm, but all the videos on IPFS might benefit from having a HEVC version available to propagate. There are also many great open audio codecs too but the one that really stands out is Opus, and it may be worthwhile compressing all the audio files with Opus. I don’t know how this project might be managed or how you might verify that the maximum compression and maximum quality are maintained (there are a lot of small x265 files out there that were hastily compressed and look like it). I guess, like pirates, there would be trusted sources to get your seeds from. Are you sure about x265? I’ve looked at it quite a bit and it doesn’t seem it can offer a significantly higher compression rate than x264 for similar quality. Good news to hear things are progressing in the peer-to-peer internet. Address searching is an issue but again, good to hear Mr. Hancock and his group are working on a solution. Just a note: The explanations Mr. Hancock gives are difficult to follow because he doesn’t finish many sentences. Plus, he uses a shorthand I don’t understand when referring to items. It’s a kind of Hancock-speak. He knows what he is saying but I don’t. It was good to hear that the content producers he mentioned by name are finally listening to someone! They’ve needed to move off corporate platforms for years. I know I’ve mentioned it to a few myself. I went to your content on the link you provided. As you mentioned, the address is a big problem if one can’t resolve it somehow in words. If you have not already created a program that I missed, please put together a investigative video on the IPFS protocol with visuals. It’s imperative that the end user see what to expect when using the network. Otherwise, it’s just geeks talking among themselves like in the old days of the internet. As well, how the end user can search presently requires better/further clarification. I am remembering what the internet of DNSs looked like the first time I went online in the 90’s. It was exciting but there wasn’t much to be found. The domain servers had not built a huge log yet, as well as content being thin. I’d guess we’re dealing with a similar situation here until IPFS revs up. Thanks. 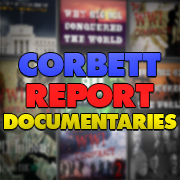 The World War I documentary and the Century of Enslavement are age restricted for the same reason. Mr. Hancock pointed out that they did not want kids to research this information until they have been “indoctrinated” (around 27′). The children shouldn’t be exposed to such information. I’ve wondered about the positive propaganda notion too. The only thing found that’s absolute about it is orientation. How am I orientated on this view? Is it bad to use the same tools of manipulation that are used by the dark side or is it perhaps that there’s always a subconscious influence? Instead of avoiding that question, it seemed appropriate to presume that there is always of level of subconscious influence. Going directly at it by guiding responses and reactions that cover a few spaces is a good goal for me. What’s fun too is looking forward to what I look forward too does help to encourage that reality without saying this is the reality I want to experience. I am grateful for the knowledge you share James. It probably would’ve been the case that these truths would’ve been ignored if I hadn’t broke through the god fearing reality that was subscribed to before. I broke through that and feel compelled to assist at that level. The topic of dealing with the basis of comparison gets to abstract though and you’re material keeps me grounded. What’s fun is when your material broaches the line of objective and subjective, as in is positive propaganda really beneficial? I say a question like that obfuscates the opportunity. What makes me confident in this is knowing that right is objective. An action is right if no harm occurs. Using this as the compass will ensure that propaganda can be beneficial. I just realized my response is in regards to another video of yours. I am certainly looking into being an ipfs node. Top notch (of course.) This is very interesting as I have been trying to figure out how to decentralise and safely store content for a while but haven’t figured it out. Much of the stuff I have read is way above my technical understanding. So this was a ray of hope. I’ve thought about copying posts to Steemit then setting up a basic IPFS link page to those posts. Would that work? I am aware of the problem that Steemit is kind of centrally controlled and, in any event, I can’t figure out how to do it yet. I’ll keep trying. So James I have a big favour to ask. It is very cheeky and I fully appreciate if you can’t help, not least of all for setting a completely unmanageable precedent. However I feel I must ask. I have just written a post which I am certain will be attacked. I wonder if there is any chance at all you could submit it on your sitemap? The post is about a potential, very high profile, miscarriage of justice. It has already had some traction on Social Media and I have yet to put it on Steemit (will do later). I hope you can appreciate my concern and apologise if you feel I have been presumptuous. I personally appreciate what you are doing on this endeavor (and across the boards). Muchas gracious! By the way, you keep good company. I enjoyed seeing mentioned some of the other well known activists during this presentation. I’ve delt before into IPFS, it’s rather confusing to get started, maybe this can get things a bit easier for some. All of these are my findings and opinions which shouldn’t be taken as gospel. Generally, it seems to me IPFS is somewhat similar to a P2P protocol, with some major differences. When you have an IPFS daemon (service, like a background process, typically ran from the command prompt) running on your system (PC, mobile, server, whatever) it acts as an IPFS node. It serves several functions: it will act as a local server, accepting input from you and delivering content to your browser or other applications and also communicate with the outside world, that is other IPFS nodes on the network. On windows, you have a choice of 32 bit and 64 bit version, if you’re unsure which system you have, get the 32 bit version. Most of the following will be windows specific. What you will download is an archive containing a “go-ipfs” folder, you should extract that folder to something like your system drive, that will be similar to c:\ making the folder in which you have the ipfs.exe file c:\go-ipfs. When you go to that folder, if you press shift and right-click somewhere on the folder background (not on the actual files and not while you have a file selected) you will see that the regular menu will pop up, but it will have the extra option “Open command windows here”. Which you should click to open up a command prompt running on that directory. If you can’t get that menu to open up correctly, simply press Windows key + R, input “cmd” into it and press enter. Then input “cd c:\go-ipfs”. All of the quoted stuff goes without quotes, quotes are there just to make it clear what you’re supposed to type. Now that we’re ready, you should input “ipfs init”. If it says that ipfs isn’t recognized, you have navigated to the wrong directory with command prompt. This command will prepare a .ipfs folder in your user directory needed for the daemon. The next step is to start the daemon process, by inputting “ipfs daemon”, after which a few lines will be shown in the prompt and you should be ready to roll. At this point, your PC is acting as an IPFS node. If you think it’s time for congratulatory mealy-mouthed self-adulation, think again. If you load this in your browser localhost:5001/webui you’ll be able to see a GUI showing you all sorts of factoids related to your IPFS brethren. You can see your peer ID, all the other IPFS nodes on the network (currently I can see about 800), the default configuration file etc. Quite a few browsers are supported. This extension will introduce the new ipfs protocol which allows for urls to be shortened and it redirects IPFS traffic through your IPFS node, among other functions it has. Quite a useful little thing. For the next step, we can put stuff online. To add content to the network, we need some files first. As an example, I have added a file here ipfs.io/ipfs/QmcqxcDApb8JEAjjR2qY81Q1R8mZ6U8Jyj4ZRqKuE9zDCP (a single pdf file) which should be available as long as I’m online. Or perhaps someone else already added it and I’m just mirroring it for others to download. This is a great thing about IPFS, if you “upload” the same file a thousand times, it will always have the same id. An id could be pointing to a directory or a file. If the file changes, the id changes. The old file version remains available as long as someone still has it on their system. When someone asks for a file with that id, the network will be scoured for its presence and some sources (according to a myriad of conditions, I guess) will be selected to provide the file. You can add files to your IPFS share in several ways. You can do it through the command prompt. Or you can go through your GUI which we talked about before. Or you can use the companion extension. I haven’t exactly figured out the command prompt thing yet, adding files and folders to it is easy, but I’m not sure how to get the id of something you have added previously. Let’s use the web GUI as an example. Open up the GUI, which we already discussed above, here localhost:5001/webui and in the left menu click “Files”, then on the top right click the “+ Add to IPFS” button. In the drop-down menu choose the last option, “New Folder”. Input a folder name to your liking and then click on it in the folder list. You will see that it’s empty, so click the Add button again and choose the first option, “Add File”. Pay attention not to share something personal, mind you. This interface offers all the options one would expect in a file manager: you can add, delete, rename, share (provides a link you can send to others) etc. You can use either the three dots icon on the right of the file/folder name or you can use the check box on the left to select the entry you wish to edit and then click an option on the bottom of the window. Like I already mentioned, if I would change and “reupload” these files, they would change their id and the old link you had to it would lead to the old version, as long as it were available somewhere on the network. This is where “pinning” comes in, you can pin files to make them hang around. That’s your way to hold on to something you find important and wish to keep it available to other IPFS nodes. Woah, this is getting longish. We’re almost done, I think. You are probably asking, dear reader, how to shorten those goddamn links? They’re an absolute eyesore. Imagine if you saw something like that on a billboard, you probably wouldn’t be able to remember it save your dear life. I’ll just summarize it in closing. The first step would be to share a folder with your quasi-static website in it. When you share the folder you get the id for the folder itself. At this point in time, I have no idea how would you prevent someone from reading the contents of your website, because generally that is strictly forbidden by a server. The second step is to go to your domain control panel and add a DNS TXT record for your.domain with a value of “dnslink=/ipfs/”. In this case, a link to your website would become ipfs.io/ipfs/your.domain or ipfs://your.domain. The gaping issue here is that, wherever you change something on your site, the site id changes. To circumvent that, you can (and should) use the publish option so that you don’t have to change the DNS record every time that you change something. The idea here is that, instead of changing the site id all the time, you set the published id and then republish wherever your site changes. Easy peasy. Also, note the change in the link, /ipfs/ switches to /ipns/ when you use published ids. Finally, to make yourdomain.com available on IPFS, you’d need to go to your DNS record control panel and redirect it your site on IPFS. The short introduction ends here. A correction is in order, to prevent confusion: DNS TXT record value needs to be “dnslink=/ipfs/”. To get the published id, you would go back into the command prompt and input “ipfs name publish ” which, after about a minute or two, will return your publish id. The same id can be seen in the GUI as the peer id. This peer id doesn’t seem to change and I’m not sure whether or not you can use several on the same ipfs node. Thanks for doing this mkey. Much of it is Greek to me, but it is good to have it logged here. It becomes a reference node for many. Despite this interview, I support the Corb.